In our effort to make disciples of all nations, we will support ongoing mission efforts of the Cooperative Program. 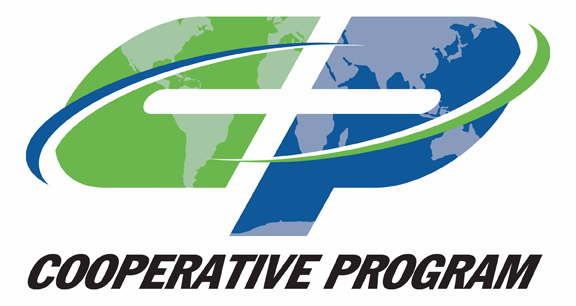 Since 1925, Southern Baptists have been partnering together to touch the world through Cooperative Program (CP) Missions. CP Missions allows affiliating Southern Baptist churches to work together to fulfill the Great Commission. CP Missions supports the mission and evangelistic efforts of state conventions. CP Missions undergirds the work of almost 3,500 international missionaries in 153 countries through the International Missions Board (IMB). CP Missions supports the North American Mission Board (NAMB) and its partners, who support 5,081 missions personnel working on our continent to fulfill the Great Commission. CP Missions supports the work of the six SBC seminaries in their effort to equip future missionaries, pastors, and church leaders. In 2000, CP Missions efforts resulted in the baptism of 865,958 people worldwide and our strategic partnership with them allows Parkway another avenue for fulfilling the Great Commission.